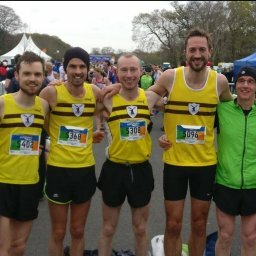 A sweet selection box of races were available over the Christmas Holiday week and plenty of Harriers enjoyed the opportunity to race. 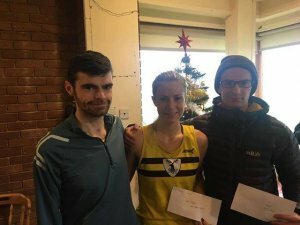 There was a huge turnout of Harriers at the Waterworks on Christmas Day and several New PB times were posted and a couple of milestone runs celebrated. This race in the Sperrins always attracts a quality field of runners on the 26th December. 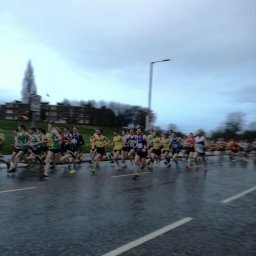 This year it was North Belfast Harriers’s Mark McKinstry who wouldn’t be beaten over the fast finishing straight of the undulating road race. Mark broke the tape in 24:40. Also on the 26th, another 5 mile road race was put back on the calendar for 2018. 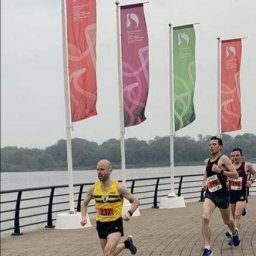 North Belfast had podium success here with John Black finishing 1st and Kent Swann placing 3rd. April Clarke took 3rd place and her first ever podium place. 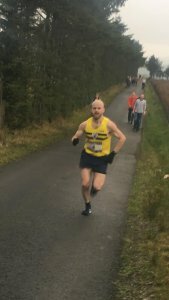 The Turkey Trot in the Mourne Mountains always attracts a hardy bunch and the 13km race with 450m of elevation as well as technical rocky descents was hosted as always by the Belfast Association of Rock Climbers and Fell Runners. 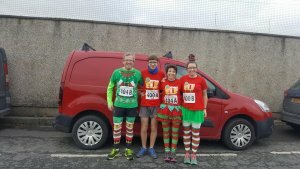 The annual betwixmas event changes route each year but always sells out its places to eager pairs of runners keen to encourage each other around the multi terrain course. 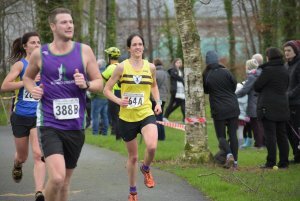 Martsje Hell of NBH paired up with Sarah Graham of Mourne Runners to be first female team home. …and Thomas McKinstry completed the double by running 5:22:16 on the 31st. Greg McClure also ran 3:52:37 on New Year’s Eve after marshalling out on the course the day before.